How do you develop an engaging online course? The answer- right content, a well -designed storyboard, and the most important, an appropriate development tool. 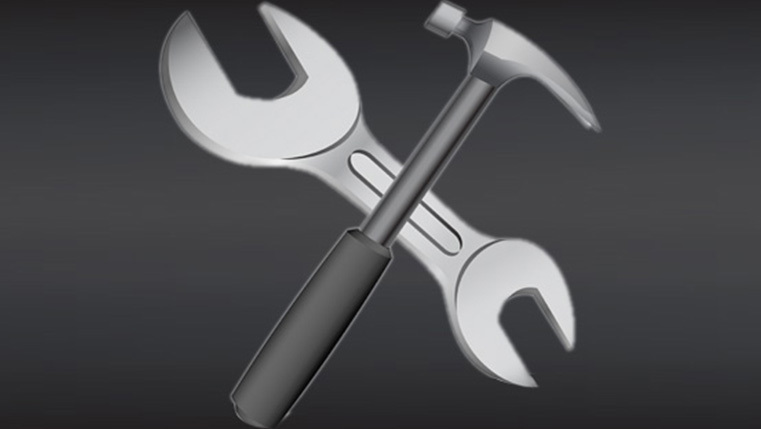 This blog intends to give you the details of five popular e-learning development tools. Even if you are aware of these tools and using them, you may still want to know more. Read further to build an efficient toolbox based on your needs. This development tool has been around for a long time. Adobe Flash is very useful when you want to create complex animations and videos. If you want to build a course with interactivities such as flip books, drag and drop, sliders, match the following, puzzles, scenarios, or simulations, then Flash can be your go-to solution. Creating animations and games becomes easy with this tool. Below is a screenshot of an interactivity developed in Flash. Adobe Captivate 9 (the latest version of the tool) is one of the top development tools available to create interactive e-learning courses. Let us look at some of its capabilities. Responsive learning design: The responsive learning design feature helps develop several versions of the online course for multiple devices from a single source. With this feature, you can create a master course which you then adapt to any device. 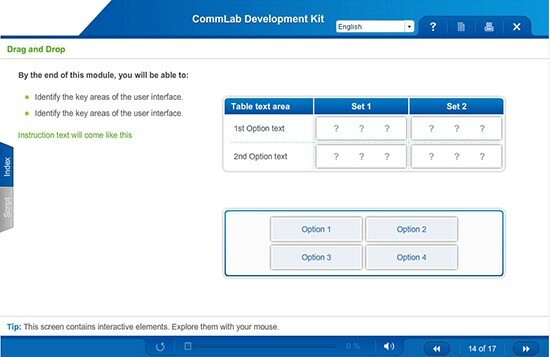 Once the course has been created for the desktop, you can make it compatible with other devices such as tablet PCs and smartphones with a few tweaks. The course would automatically adjust to the screen size of the device on which it is being rendered, providing an optimal viewing experience. For instance, when a learner accesses the course on his iPad, it will automatically adjust to fit the screen of the tablet PC. This feature allows developers preview the course for each type of device. 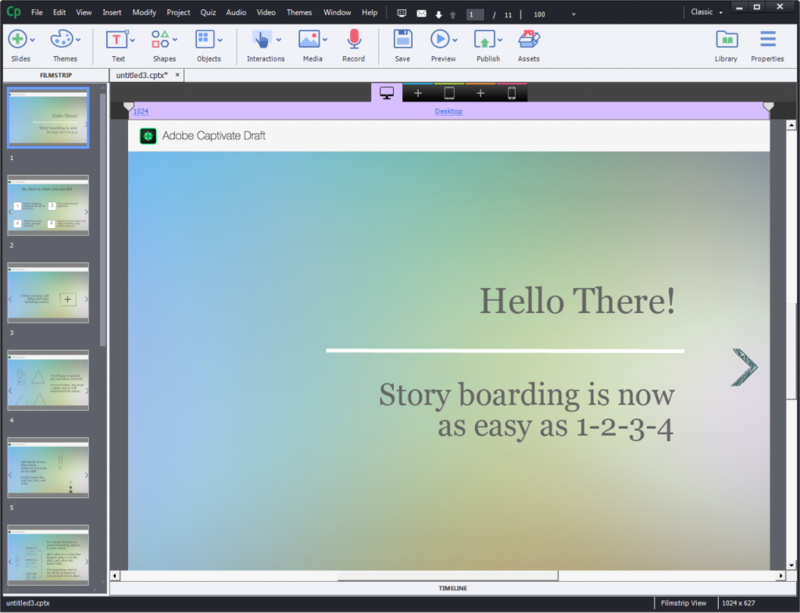 Interactive storyboards: Adobe Captivate Draft allows you to create interactive storyboards. It allows for adding question slides, scenario branching elements, and multimedia elements. Library of media elements: Captivate 9 also comes with an asset store containing more than 25,000 media elements that is a boon to developers. These include games, interactions, layouts, scenarios, people cutouts, etc. that aid in creating professional and attractive e-learning courses with less effort. The asset store is constantly updated, which helps developers enhance the quality of the courses. Ease of translation: The tool makes the translation of e-learning courses easier, as it allows you to export your course content as an MS-Word document. You can handover the document to the translator, and after it is translated, you can import the translated version into the tool, and the course in the target language is ready. The intuitive quality of this interface helps create simple courses without any programming knowledge. Let us see some of its other features. Customized presentation patterns: The tool comes with customized presentation patterns that help you add interactivities and other components to the course, based on your requirements. Using this tool, videos with real scenarios can be created. Scenarios: The tool has many scenario packs with different in-built options and choices. Readymade character packs with different expressions and poses can be used to create scenarios that engage learners. Here is a screenshot of a scenario created using this tool for a course on data privacy. Animations and transitions: Animations can be applied to different objects such as boxes, shapes, images, and characters. Transitions can be applied to each slide in the course. Simulations: Simulations can be used to their full potential using this tool. Actions can be recorded on the screen. This recording is segmented into step-by-step sections. This helps you create watch-try-do simulations easily. Interactive templates: The tool has interactive templates that make the work of developers easy and helps them create an engaging course. You can create interactive presentations and quizzes. Storyline can create various types of interactions such as zoom, drag and drop, hotspots, rollover, and tab interactions easily. Lectora Inspire16 offers a user-friendly interface and is the first choice when you want to convert text-heavy courses into e-learning materials. Assessment and quizzing options: This is the strong point of this development tool. 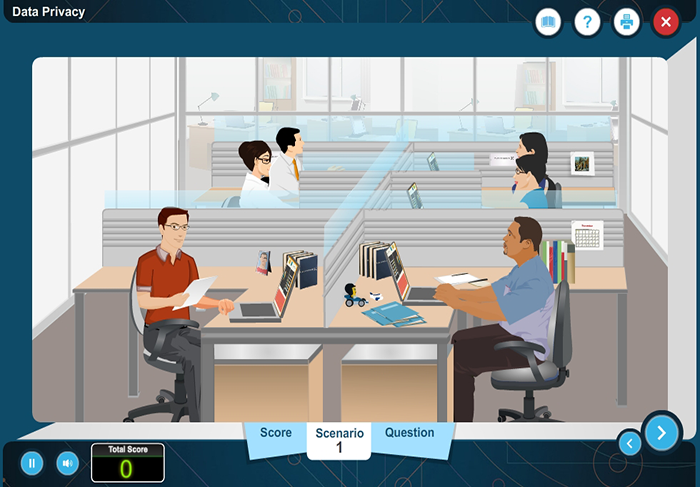 You can create assessment scenarios and Flash-based mini games. The built-in quiz templates can be used to create customized quizzes. It offers LMS compliant options as well. Interactions: You can use in-built interactivities that can be customized according to your requirements. Multilingual online content: This online course development tool allows for converting courses into Rich Text Format (RTF) files for translation. The files, once translated, can be imported back into the tool to create the translated course. 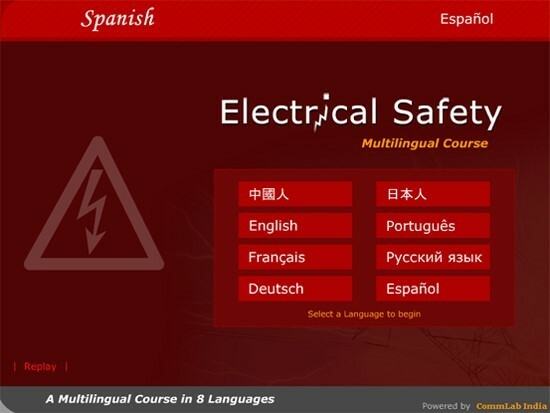 A multilingual interface can be created for the course which allows the learner to access the course in the language of his choice. Mobile learning apps: The rapid authoring tool produces editable HTML5 output which can be tweaked to develop mobile learning apps using third party applications such as PhoneGap. iSpring Suite 8.3 is a PowerPoint-based development tool. This tool is easy to use if you know how to work with PowerPoint. Features include seamless conversion of PowerPoint to e-learning. The tool has a library of interactions and characters that can be used to enhance course design. There is also a built-in screencast tool. Courses can be directly uploaded on YouTube using the iSpring Publishing Window. Dialogue simulator: The TalkMaster feature in iSpring 8.3 helps create dialogue simulations. TalkMaster has built-in tools that help create characters and scenarios that mirror real-life communication. This tool can add voiceover to a character’s lines in dialogue simulations, infusing conversations with a realistic touch. With this feature, you can create simulations, choose characters, and select appropriate emotions for them. 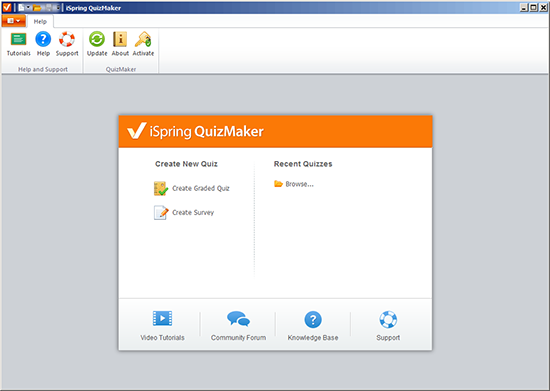 iSpring Quizmaker: This feature helps create quizzes; you can create interactive quizzes and surveys in HTML5 and Flash with this tool. It can create interactive cross-platform quizzes and surveys for business use. These 5 development tools have features that are suitable for creating certain interactivities and tasks in your e-learning courses. You need to evaluate each tool carefully to make the best choice that will meet your needs. To help you choose the right tool, download this free e-book. 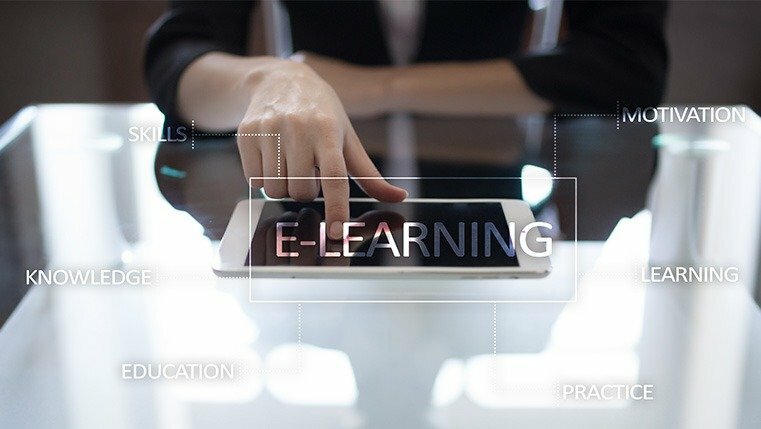 User Acceptance Testing in eLearning – How do you do that?